Ever wondered how it feels to get an up close and personal view of animals through your camera’s lenses? 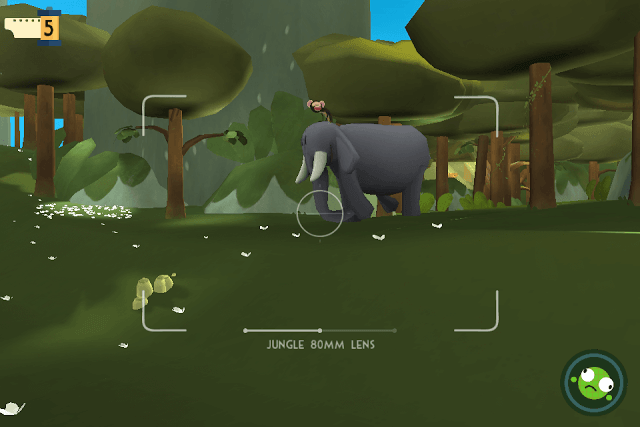 Well, BeebopBee Inc.’s Snapimals lets you do exactly that – go on a virtual wildlife trip, interact with critters and snap a photo or two of them. You can then display your prized pictures in a museum to earn money and fame. 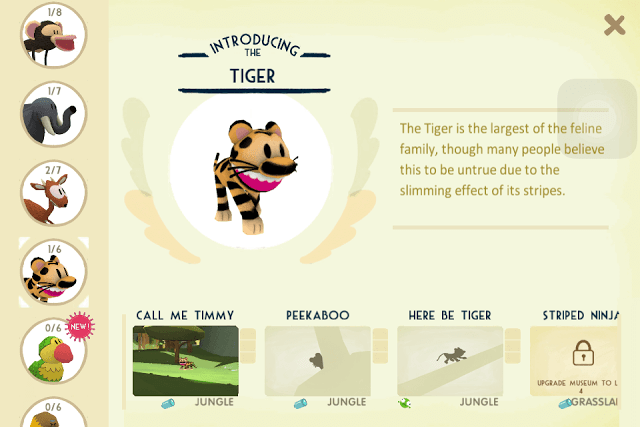 Warning: This beautiful simulation game has extremely adorable animals, even the ferocious tiger looks like a plush toy, hopping around, following you, catching butterflies. There are also cute dinos, chirpy chimps, parrots and magnificent elephants. Don’t just blindly take photos of any animal you spot in a jungle, grasslands or a swamp. You will waste camera rolls. You will need to capture animals in various poses that match with a pic frame’s outline. Tap on Museum and then tap “Captain’s Pics” to examine unlocked pic frames. Each pic frame kind of works like a jigsaw puzzle. The jigsaw is complete when you take a picture of an animal or a group of animals whose action or pose matches with the pic frame’s silhouette. It shouldn’t be a perfect match, but should agree with the frame’s overall requirement. For example: If the frame has a silhouette of the chimp peeking out from behind a branch, then you will have to search and find such chimps doing this act and capture their picture immediately. 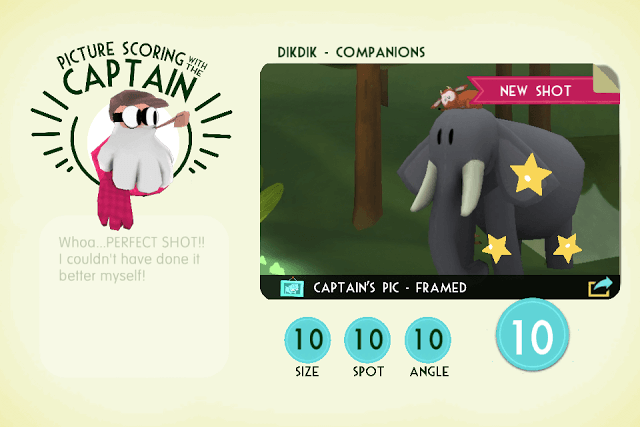 When your safari ends, the pic that matches with the unlocked frame will be chosen as “Captain’s Pic – Framed” and you will receive museum value points and coins based on the quality of the captured picture. 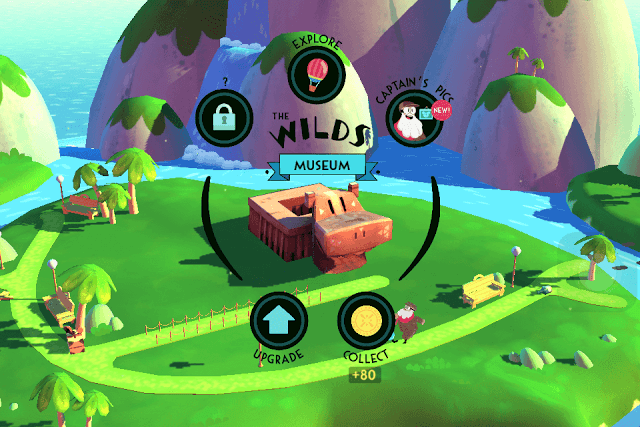 The more animal pic frames you unlock and fill, the more museum value points you will receive. You will also receive mastery medals for your perfect shots. It increases max income. Don’t forget to tap on your museum to collect coins. It unlocks more pic frames. Pic frames contain silhouettes of animals in action. You will have to take a pic of an animal whose action roughly matches the action or pose of the frame’s silhouette. It unlocks new animals in a region. You can then discover them through your camera lenses on your wildlife photo tour. Upgrading your museum to a certain level also lets you build extra docks, bridges and ticket booths. The more docks, bridges and ticket booths you have, the more coins you will earn. Upgrading the museum requires special resources like blocks (clay, ice or rock blocks) and coins. You get guaranteed resources under “Bonus Finds”. High-quality shots will earn you more points, museum value and coins. Your pictures are graded into Pro, Expert, Regular and Perfect and these grades determine how many stars, coins and MV (Museum Value) points you will receive. Your picture gets a Perfect Shot grade when the picture’s size, spot and angle gets a 10 out of 10 score. The picture’s size should be perfect, and the subject should not look too tiny. The camera angle should also be perfect. Some perfect shots are also labeled as “Special shots”. A pic with a special shot label doubles the total amount of coins and MV points. If you take a pic of a group of animals, your picture will receive a “Group Shot” label. A Group Shot pic will give you a 100 percent bonus. Some pics are very difficult to capture. You may have to divert an animal’s attention so that his pose fits the silhouette of an empty pic frame. For example, to capture a pic of a tiger in the bushes, you will have to throw a goofball towards him and then quickly take a pic of him while he plays with it. A goofball is a biodegradable ball in Snapimals that can be thrown at an animal to keep him busy while you can safely snap a pic of him. “Captain’s Pics” in museum provides information on pics that require goofballs to catch an animal’s attention. Tap on museum > Captain’s Pics and then tap on an empty pic frame. Under each frame you will see a requirement. For example, if you tap on Chimp and then tap on the “Here Be Chimp” picture frame, you will notice a special requirement under the pic (“Requires Goofball”). Build and go to your lab to improve your camera’s zoom level. There are different types of camera lenses available for each region and they can be unlocked when the player unlocks a new region under The Wilds, Frost and Dino. 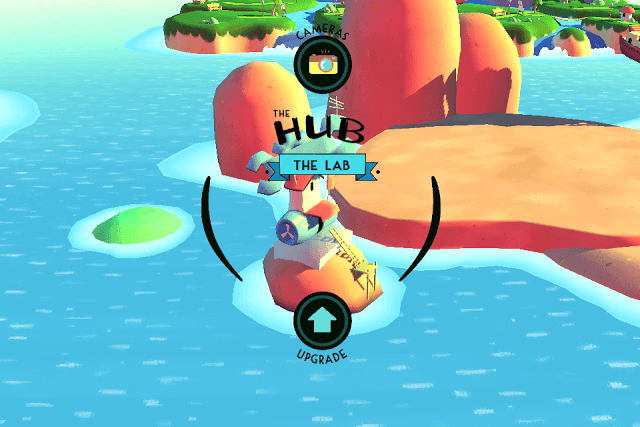 You may also have to reach a certain level to unlock a special lens for a region. A camera lens’ zoom level can be upgraded when the player reaches a certain level. For example, the lens available for the Jungle region can be upgraded to zoom level 3 when you reach player level 6. Keep taking pics of animals to earn EXP and fill the XP meter to level up. Leveling up will earn you a gem and bonus coins. Collect gems and use them to purchase camera rolls. Unlocking new lenses for each region and improving their zoom level will let you capture pics in high temperatures. An upgraded lens will help you take “Perfect Shots”. Each region’s environment, climate and surroundings require a special lens and so you will have to use them to get an optimal wildlife photography experience. Don’t forget to pinch zoom to get a bigger, clearer view of an animal after upgrading your lens. You will get more coins and MV points for better pics. Bonus Finds appear at the end of your wildlife photo tour. 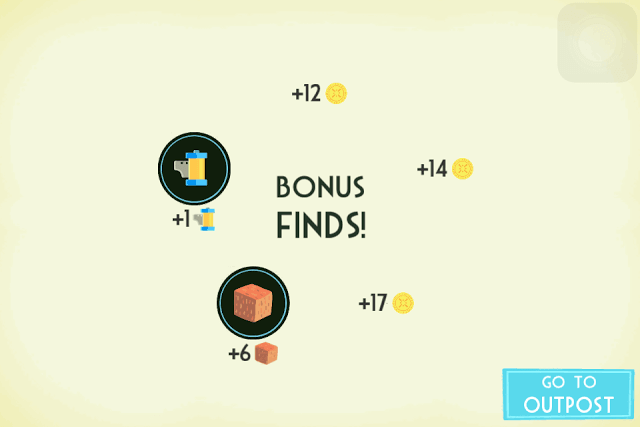 The bonus screen displays certain items that you have captured with your camera. These items get sold for coins immediately. Under Bonus Finds, you will also receive resources that will help you upgrade your museum. Sometimes, you may get an extra camera roll. So keep an eye on such bonuses. Taking the best shots increases your chances of getting a better bonus find.